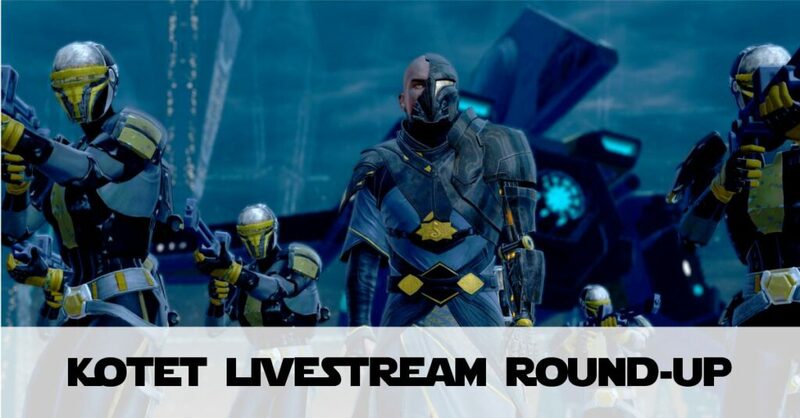 In case you missed it, like I did, here is a round-up of key points from the last KotET Producer LiveStream by SWTOR. I have kept it to plot and KotFE questions. Subscriber (Premium Member) rewards have been publicised for ages, so I wanted to keep this on-topic. At the end I also summarise what my approach to the KotET launch will be in terms of new posts around Knights of the Eternal Throne and also the sharing of videos and screenshots. A quick warning, there are mild spoilers in this Live Stream, but nothing that I think actually spoils any anticipation of plot line. Which side is SCORPIO actually on? Although she is working with Vaylin, that is not a demonstration of loyalty. Both Senya and Arcann’s fates depend on choices you make. Someone asked if the Republic and Sith Empire would be involved to some degree. SWTOR said that this is not the main thrust of the story, but it does have a role, especially when you end up ruling the galaxy. Sounds like Republic and Empire will be vying for influence. KotET will bring more understanding about the former Sith Emperor with background as Vitiate and how he came to become Valkorion. The question right at the start of KotFE about will you kneel to Valkorion or not, his intention will be resolved at the end of KotET. They emphasised that they have incorporated differences in how classes react – each class should have lines, reactions and interactions relevant to their background. As KotET starts on Voss, they said it would be Valuable to do the Voss Star Fortress before embarking on Knights of the Eternal Throne. Not imperative, but it can have an impact. Iokath is a mechanical world, totally artificial. Therefore it is not technically a planet, by the usual definition. Screenshots showing Eternal Fleet so Iokath ties into the relationship with the Eternal Fleet, somehow. 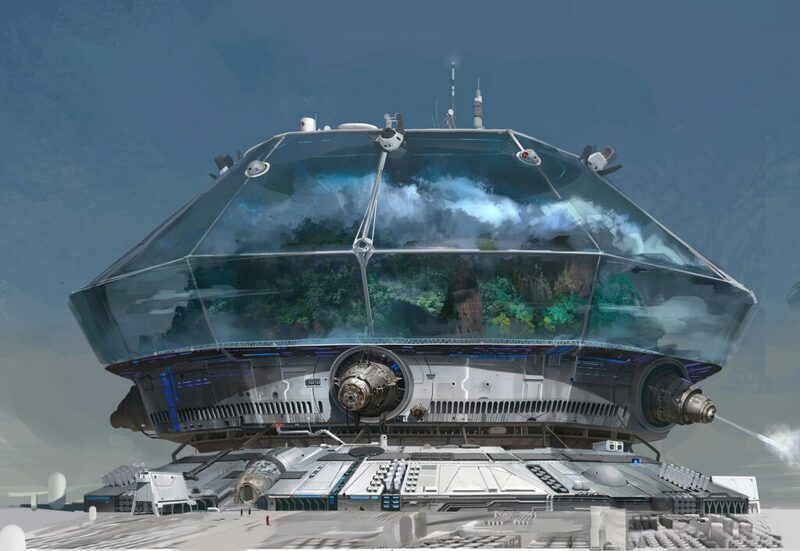 Iokath appears to have encapsulated zones, presumably to create the right conditions for life. More information about the history of Nathema, can be found on Wookieepedia. Nathema was the birthplace of Vitiate/Valkorion. He harvested all life from for his initial ultimate power. Consequently it is a Dead world. There is no natural life on the planet – it was annhilated 1000 years before you land there. The producers called it “desolate and unwelcoming”. This is the planet from the ‘Betrayed’ trailer, where Vaylin had her rough childhood upbringing. There is some ‘interesting’ research and experimentation going on, which results in some new “messed up” creatures that now live on Nathema. Force Users can now use the Force there but there are ‘psychological effects’ on Force Users. Both planets could become open areas or Daily Areas in the future. They said to tell them if this is something you would be interested in. LucasFilm reviews everything and are “deeply involved” in the story development. One of their story writers has now written a back Story about Senya and Vaylin to help you understand the history underlying the “Betrayed” trailer. January 2017, possibly December 2016 we may have more information about what happens after KotET. Thanks to Dulfy for the full recording of the KotET Producer LiveStream! Initially I will just play KotET to enjoy it for myself. I’ll almost certainly be taking a bunch of screenshots, but I just want to play it for the first couple of days. I will be playing it at first on The Red Eclipse server as I haven’t completed KotFE on the Character I want to take through to KotET on Shadowlands. At the start I’ll play it on a character where the consequences don’t matter as much. Then I’ll play it on my main. Blog posts will happen sometime after the public launch (after Early Access ends). With my health I cannot be “on the edge” of game developments, so I will get my posts out when I am able.